Who is Eco Fence Cape? Eco Fence Cape specialises in the installation of perimeter security solutions such as Betafence, ClearVu, palisade, vibracrete, wire mesh, wooden fencing, gates, electric fences and spikes. Our winning formula is the ability to deliver a quick turn-around time coupled with a friendly, hands-on approach at competitive prices. At Eco Fence Cape, we pride ourselves on our quick turn-around time. Part of this is the efficient management of manufacture and production timings. Eco Fence Cape takes the hassle out of managing the product fabrication process, and installation at your property is a breeze with our experienced and trustworthy teams on site. In order to confirm a job, a deposit is required to secure manufacturing. The balance of payment is due on the day the installation is completed. The Eco Fence Cape mission is to provide a range of excellent quality products that meet the needs of our clients, and at the same time to work in an ethical and integral manner with our clients, suppliers and workforce. Eco Fence Cape is a registered company in terms of Section 14 of the Companies Act, 2008. 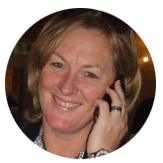 When not driving around the Cape, ensuring quick quote response times for clients, Angela’s other main passion is food, having run a successful catering and events business for 15 years. You will always find the team on site with a tasty working lunch. Bonga has been with Eco Fence since we started. 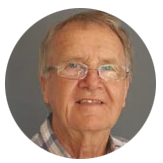 His ability to drive the vehicles and trailer, as well as problem-solve on site makes him invaluable to our team. In his spare time Bonga likes to chill with his friends and dress snappily. Jeremy was born and educated in Cape Town. 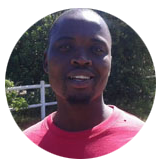 An outdoor fanatic, he spends most of his free time climbing, hiking, diving or in the bush admiring our wildlife. Jeremy enjoys quiet time with his wife Melanie, family and friends. Bentley joined the team 4 years ago. 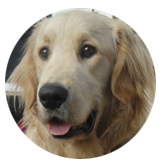 As a pedigreed golden retriever from Johannesburg, Bentley loves to dig. When not digging, he is an excellent companion to the team and source of endless entertainment. DO YOU NEED PALISADE OR ELECTRIC FENCING IN CAPE TOWN? Eco Fence Cape can supply, erect or repair all types of fencing in and around the Cape Town area.